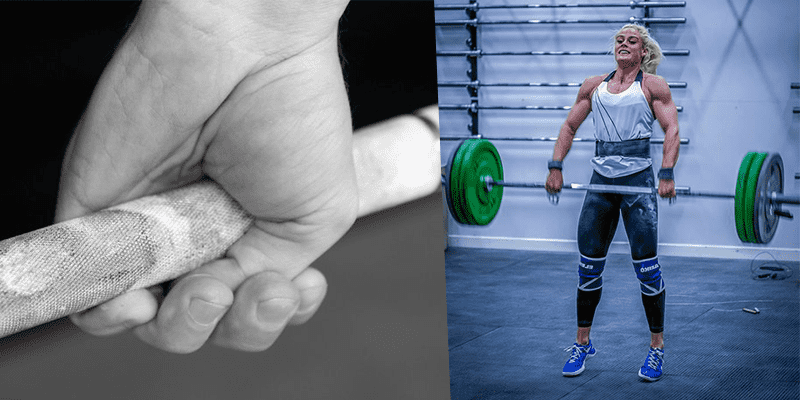 A stronger grip will improve your weightlifting and gymnastic abilities, as well as increase forearm strength and reduce the chance of injury. 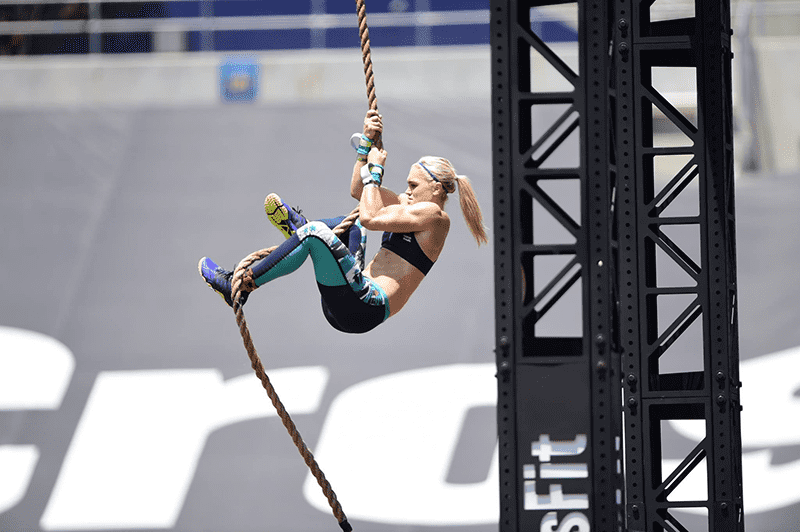 Grip strength is an undervalued area in Crossfit, even though it‘s an essential aspect of functional fitness. Almost every exercise can be improved with a vice like grip, and it is a large factor in helping you to achieve accuracy, control and technique. For example, think of Deadlifts, Toes to Bar or Pull Ups. Weak grip strength will make you fall short of your full potential in all of these exercises. Especially in the Deadlift, it is often an athlete’s grip that fails long before the strength of the rest of their body. In everyday life you constantly need strong grip strength, everytime you carry a bag or open a bottle for example. And by the way: a handshake with a good grip strength is impressive! To strengthen your grip is very important, because it has a huge impact on your training! As well as helping you control and shift more weight, reach higher rep ranges on exercise such as Pull Ups and improve rope climbs, it will also help you avoid injuries and lower the risk for multiple injuries, for example tendinitis (inflammation, swelling and irritation of a tendon). The advantages of a strong grip are highly practical. Improving your grip will allow you to lift more weight when doing exercises with a pulling movement and you will be able to complete more repetitions unbroken. Take two plates that are flat on one side so you can hold them together. Start from the floor and pick them up as your stand up. Keep the elbows slightly bent as long as you can and put them back down. Start with light plates and use heavier ones as you start to progress. Stand with your feed shoulder-width apart, knees slightly bent, hold the kettlebell between your legs with both hands and swing it up, then let it swing back behind your legs. For an in-depth guide to the technique, check out our article on Kettlebells. Take two kettlebells or weights, one in each hand and walk across the room as long as you can. repeat over various different distances and gradually increase the weight. Loop a towel around a pull-bar and a take an end in each hand, then do pull-ups as usual. They are easy to purchase online and come in various tensions. You can either perform repetitions by closing or try to hold it closed for as long as possible. Start with a lighter gripper first and use increased resistance to improve your strength. The hook grip is an essential part of weightlifting. If you don’t already use this, then start, and you will see your weights go up. Although it feels very odd at first, persevere, and in a matter of weeks it will become natural for you and your body. 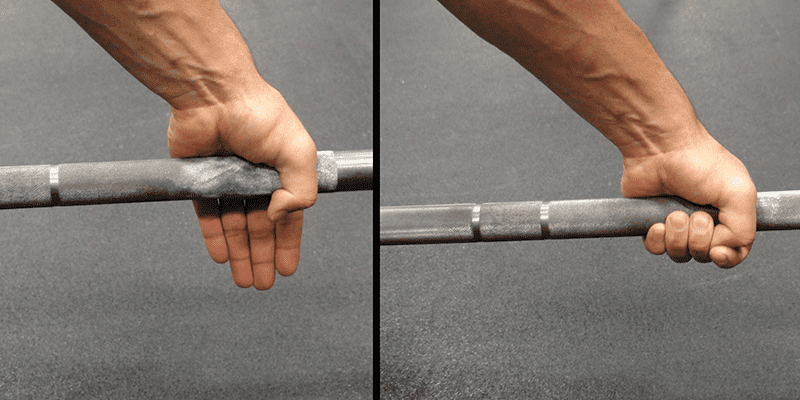 Hook Grip provides bar security through the range of motion for a lift. It prevents the bar from rolling in the hand. Hook Grip also reduces the risk of hand rips. The thumb is placed on the bar first and the top two fingers lock over the top. Both hands have to be in an over the top position. Make sure that the two fingers can lock around the thumb and that you get a good purchase on the bar. In contrast to the alternating grip (on a Deadlift for example) your back position is more aligned and you are pulling symmetrically. The pressure is balanced between both arms and so the risk for an injury is lowered. This also reduces the risk over time of muscular imbalances that can develop through always using the same alternated supine and prone hand positions. Especially at the beginning you should put tape around your thumb as protection for your skin, as it takes some time to get comfortable with the hook grip. You can also slightly change the exercises you do in your usual workout to make your training more grip-intensive. Intensify your exercises over time but slowly so you don‘t overload the muscles. Always take care of the position of your wrist and start with fewer repetition until your grip has been significantly strengthened. Dead hangs with a loaded barbell are useful for this purpose, as are dead hangs from a Pull Up bar as well.